So excited to announce that I'm going back to BROADWAY.....! I am honored, privileged, and humbled to be in the same room, let alone sharing the stage, with men and women that I've admired for as long as I can remember. "Shuffle Along, or The Making of the Musical Sensation of 1921 and All That Followed After" starts previews at The Music Box Theatre on March 14th and opens on April 21, 2016. Written and directed by the legendary George C. Wolfe and masterfully choreographed by Savion Glover, this is gonna be good. get your tickets NOW!!!!! 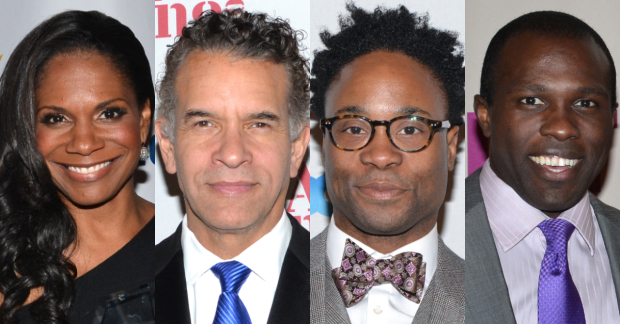 AUDRA MCDONALD, BRIAN STOKES MITCHELL, BILLY PORTER, AND JOSHUA HENRY lead this awesome cast.